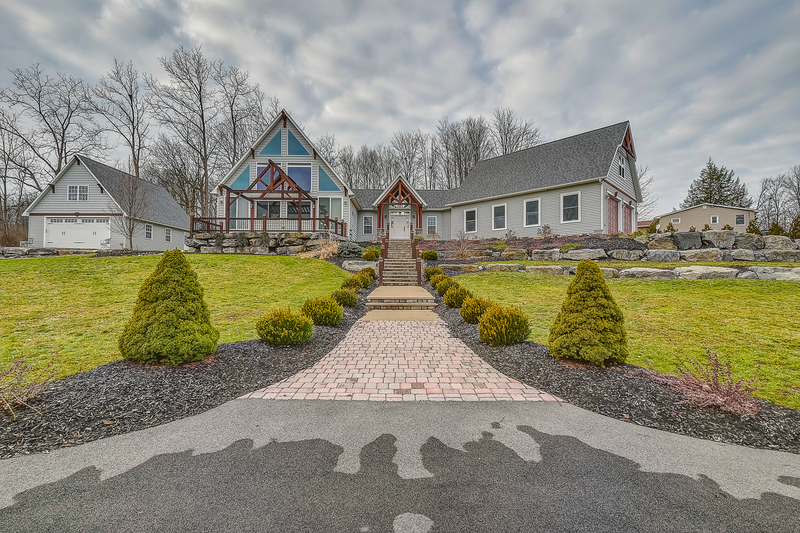 Baldwinsville NY Real Estate, Quality Built in 2012, 3600 SqFt - Contact Bob McTague at 315-882-6610 for more information about this home located in Baldwinsville, New York. Baldwinsville, NY Neighborhood -. This magnificent and custom built home is perfectly situated on a 1.8 acre multi level lot located in the Baldwinsville school district and close to shopping, parks, the river, and major highways. First Floor Features - The first floor provides a sun filled 2 story vaulted family room with a views of the outside from the massive wall of windows, an eat-in gourmet kitchen with granite counters, premium cabinetry, and tile floors, a first floor bedroom and a full bath, and a large tiled foyer. Off the kitchen you will find a huge 3 season room with 30 ft vaulted ceilings, a stone fireplace, and a bar to entertain. Second Floor Features - The second floor offers a spacious private master bedroom suite with a walk in closet and a luxurious master bathroom. The lower level features 2 more good sized bedrooms, another full bathroom, and a second kitchen. This additional space would make a great teen or in-law suite. Other Features - Other added benefits of this home is a $20,000 gas generator system, radiant heating, a hybrid tank less hot water heater and water softener system. Exterior - The exterior features a $200,000 landscaping package of giant limestone boulders, retaining walls, walk ways and mulch beds. There are also 2 garages, one attached and one detached, and a hot tub outbuilding. 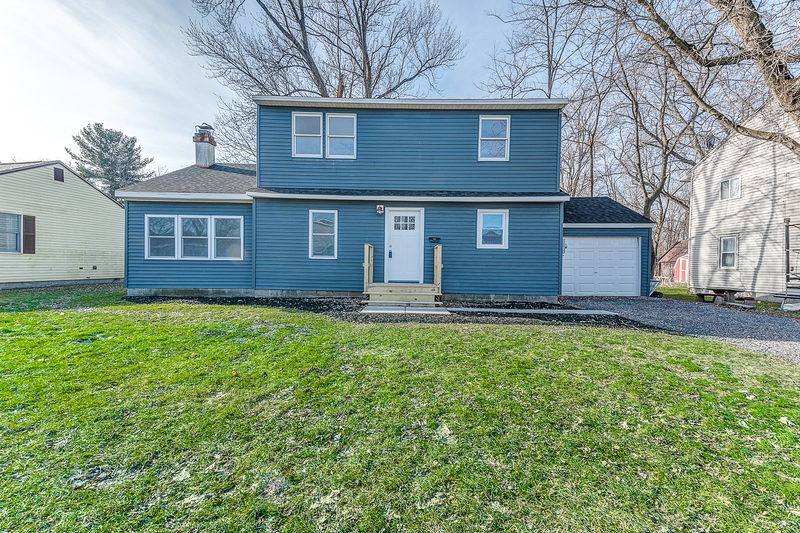 Chittenango Real Estate, Renovated 4 Bedroom Home, Move-in Ready - Contact Bob McTague at 315-882-6610 for more information about this home located in Chittenango, New York. Chittenango, NY Neighborhood - This totally renovated 4 bedroom, 2 full bath Colonial is located in the popular "Eastern Gardens" neighborhood and central located to Chittenango schools, the Village, shopping, parks, and major highways. First Floor Features - The first floor features a beautiful new eat-in kitchen with Corian counters and stainless steel appliances, a first floor bedroom and a brand new bathroom, an open living room and dining room, and a 1st floor laundry room. Second Floor - The second floor provides 3 bedrooms and a brand new full bathroom. Updates – Bathroom, carpets and flooring throughout. Exterior - The exterior provides a 1 car garage and a spacious backyard. First Floor Features - The first floor features a beautiful new eat-in kitchen with Corian counters and stainless steel appliances, a first floor bedroom and a brand new bathroom, an open livingroom and dining room, and a 1st floor laundry room. Completely Updated, 3 Bedroom 2 Bath Home, Cicero NY - Contact Bob McTague at 315-882-6610 for more information about this home located in Cicero, New York. Cicero, NY Neighborhood - Don't miss out on this amazing and totally renovated 3 bedroom 2 full bath Cape Cod Style home with almost an acre of land and a 2 car garage, located in the Cicero-North Syracuse school district. First Floor Features - This home offers a spacious bedroom and full bath on the first floor, a large living room and dining room, a kitchen, mudroom, and a family room. Second Floor Features - The second floor provides hardwoods in the 3 good sized bedrooms with plenty of closet/storage space. Second Floor Features - The second floor provides 2 good sized bedrooms and a full bath. Updates - The interior features all new flooring, new baths, kitchen with new appliances, light fixtures, doors, windows, furnace and electrical. There is also a brand new roof, deck, landscaping, and siding. Too much to list. Exterior - The exterior offers a 0.92 acre lot, a deck, a patio and a 2 car garage. 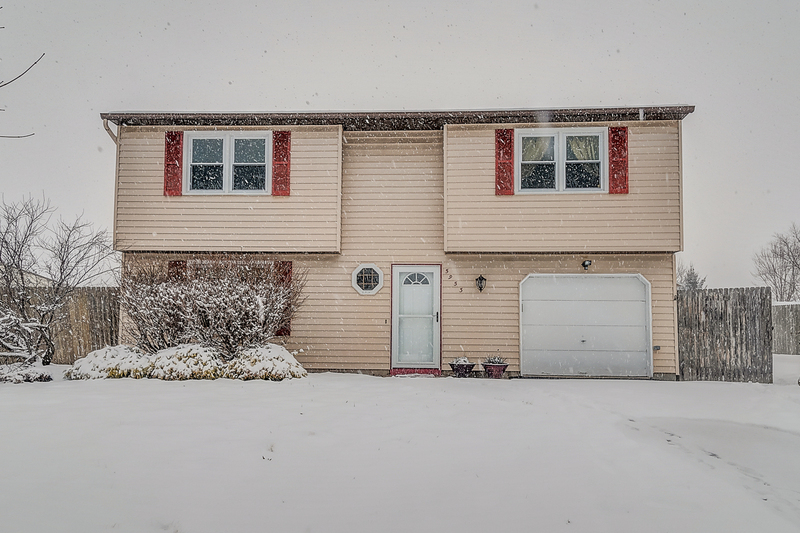 Fairway East, 3 Bedroom Home, Liverpool NY Real Estate - Contact Bob McTague at 315-882-6610 for more information about this home located in Liverpool, New York. Liverpool, NY Neighborhood -. This beautiful Colonial is located in the popular "Fairway East" neighborhood which is close to Liverpool schools, parks, shopping, and major highways. First Floor Features - The first floor features a kitchen with granite counters, tiled back splash, custom cabinetry, and desk area, a bright sun room with vaulted ceilings and skylights, an enclosed porch, a living room, a dining room, and a half bath. Second Floor Features - The second floor provides a master bedroom, a full updated bath, and two other good sized bedrooms. Basement - Full finished basement. Exterior - The exterior offers a 2 tiered deck. 2 car garage and spacious but private yard. 4 Bedroom Home, FM Schools, Manlius NY Real Estate - Contact Bob McTague at 315-882-6610 - for more information about this home located in Manlius, New York. 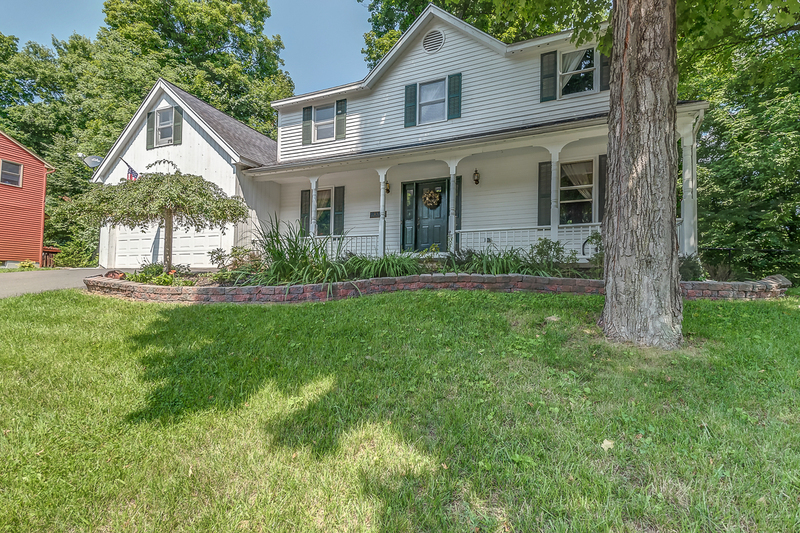 Manlius, NY Neighborhood - This Beautiful 4 bedroom Colonial is perfectly situated on a wooded cul-de-sac lot in the popular "Ridge Run" neighborhood, which is close to FM schools, shopping, parks, and major highways. First Floor Features - The first floor features an eat-in kitchen with granite counters, a spacious family room with cathedral ceilings and a fireplace, a formal dining and living room, and a half bath. Second Floor Features - The second floor provides a master bedroom and bath, 3 other good sized bedrooms, another full bath, and a bonus room or 5th bedroom option. Exterior - The exterior offers an oversized 2 car garage a wooded lot and a large deck. West Genesee Schools, Camillus NY Real Estate, 4 Bedroom Home​ - Contact Bob McTague at 315-882-6610 for more information about this home located in Camillus, New York. 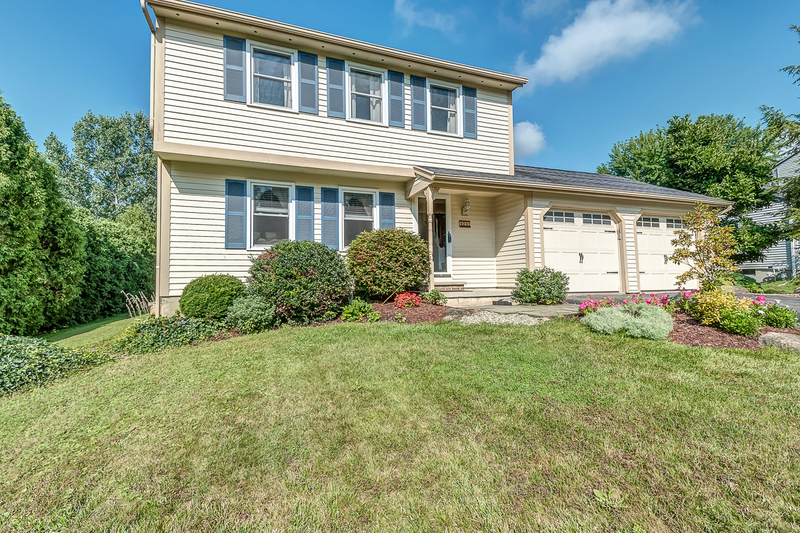 Camillus, NY Neighborhood - This quality built 4 bedroom Cape Cod home is located in the popular "Stanley Manor" neighborhood which is close to West Genesee Schools, parks, hiking trials, shopping, and all major highways. First Floor Features - The first floor features a large living room, a family room, a formal dining room, a spacious eat-in kitchen, 2 bedrooms, and a full bath. Hardwood floors fill the living space. Second Floor Features - The second floor provides 2 good sized bedrooms. Lower Level - The lower level offers additional living space with a half bath and a workshop. 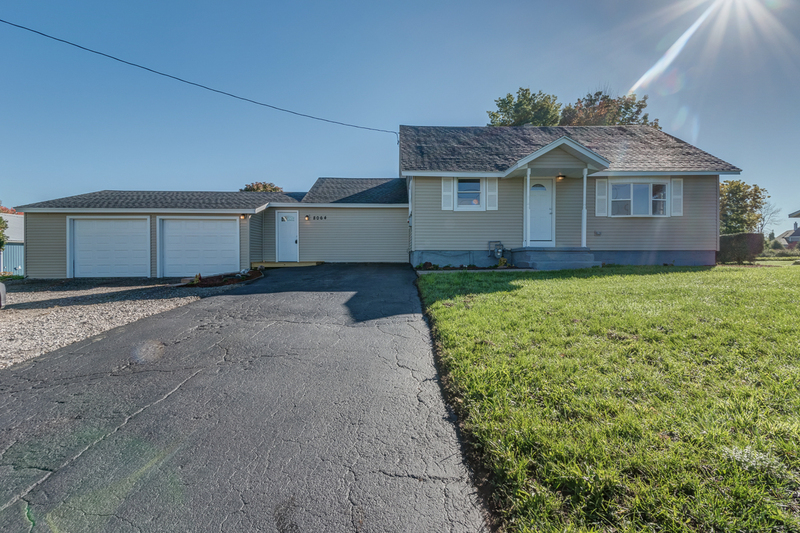 Exterior - There is a fully fenced yard, a shed, an over-sized driveway, and a 1 car garage. 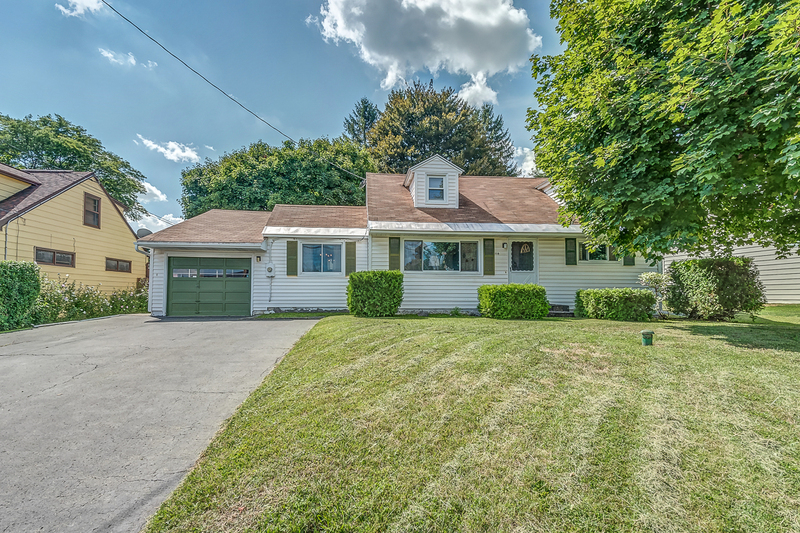 East Syracuse Home for Sale, 3 Bedroom Ranch - Contact Bob McTague at 315-882-6610 for more information about this home located in East Syracuse, New York. East Syracuse, NY Neighborhood -. This "move-in" ready 3 bedroom Ranch home is located on a quiet street in the popular "James Street Terrace" neighborhood, and close to East Syracuse-Minoa schools, shopping, medical facilities, parks, and major highways. Main Living Area Features - The main living area has an open floor plan and is handicap accessible. Newly refinished hardwood floors fill the living space. There is a spacious updated kitchen, a large living room and dining area, 3 good sized bedrooms, a full bath, and another room that could be used as a nursery or 4th bedroom. Exterior - The exterior features a deck, shed, and a fully fenced backyard.